Music is the language of the soul—of all art, really. This winter we went to Symphony Hall for a Boston Symphony Orchestra concert—so good for the soul that we trudged through rain on walkways that were often blocked by melting snow puddles that had turned into small “lakes.” What we do for Beethoven! We treat ourselves to four concerts a year on Friday afternoons. We go with the white-haired crowd, a condition from which we are not exempt. I must say that this senior audience is by far the most appreciative crowd I’ve ever seen at a concert, excluding perhaps a hard-rock/pop one, to which I’ve never been. We oldies don’t screech, but our ears are still working, and we’ve not forgotten how to clap and rise to our feet for brilliance, and shout out, Bravo! Brava! I’ve learned from reading program notes that great music, though it may transcend the machinations of politics, is not immune to political passion. We heard Anne-Sophie Mutter play a Dvorák violin concerto. Her virtuosity was beyond my imagining. I never thought I’d hear myself say such a thing, but I wondered if her physical beauty as a woman detracted at all from her musical performance? Mutter is blonde, slender and shapely. 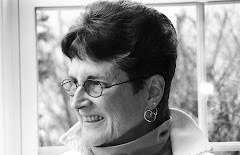 She wore an electric blue gown—strapless, body-hugging, and with a train. I did hear some intakes of breath as she swished onto the stage, one from my beloved husband, before she played a single note. She is shaped like her instrument, only better, and it was hard to tell which was the more breath-taking—altogether pleasing to ear and eye. I had a familiar nagging question: How much does the appearance of a woman (dress, hair, body-shape and weight) enhance or detract from the gift she is giving, and should it? I don’t know the answer but all art, especially performing art, is relational, therefore I imagine anyone's looks play a role in the pleasure an audience derives. Of course an artist is judged chiefly on a performance. It can’t be schlock. But appearances matter, and Mutter was a wow on both counts. Beethoven’s Third Symphony, Eroica, by contrast, was performed by musicians, all dressed in basic black, as tradition demands. The effect, nevertheless, was every bit as stunning as the electric Mutter. All of it was soul food. Beethoven originally wrote the symphony for Napoleon Bonaparte when he was First Consul. 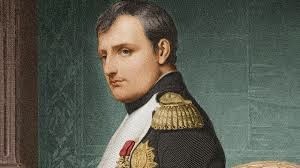 Beethoven was impressed by Bonaparte and likened him to the Roman consuls. Beethoven’s friend, Ferdinand Ries, saw a copy of the score’s title page on which Beethoven had written at the very top Buonaparte and at the extreme bottom Luigi van Beethoven. What would have gone in between Ries didn’t know. When Bonaparte declared himself emperor in 1804, Beethoven flew into a rage. “Is he then, too, nothing more than an ordinary human being? Now, he too, will trample on all the rights of man and indulge only his ambition. He will exalt himself above all others, become a tyrant!” He tore the first page in two and threw it on the floor. When the symphony was rewritten, it was published with the title, Sinfonia Eroica. Beethoven was considering a move to Paris. The Bonaparte name on his symphony might have helped. He wrote to his publisher: “the title of the symphony is really Bonapart.” But realistic concerns of the time prevailed, given the strained relations between Austria and France, and Eroica prevailed. 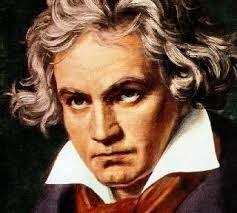 In the end, Beethoven’s politics, like his music, transcended the particular. The Eroica Symphony is heroic. It stands for all heroes of any time who take offense at power politics, oppression, injustice, and dedicate their lives and their art to compassion and goodness for all. Music gives life. Conclusion: soul has not just to do with inner mysteries, but with outer appearances, individual temperament, and the politics of the time. Mysticism expanded.